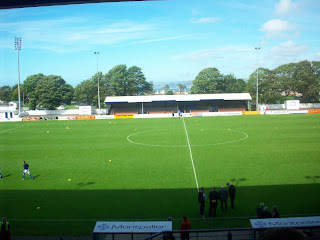 August seemed like a good time to make my way down to Scotland’s most westerly and southerly club. 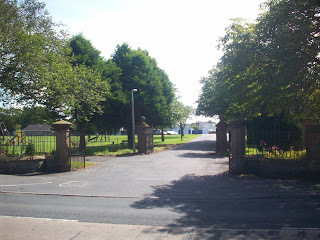 Situated in the centre of the town, I had learned through research that the ground had been built within an existing park – unsurpringly known as Stair Park. However, I was not necessarily prepared for quite how picturesque a sight it was on approach. 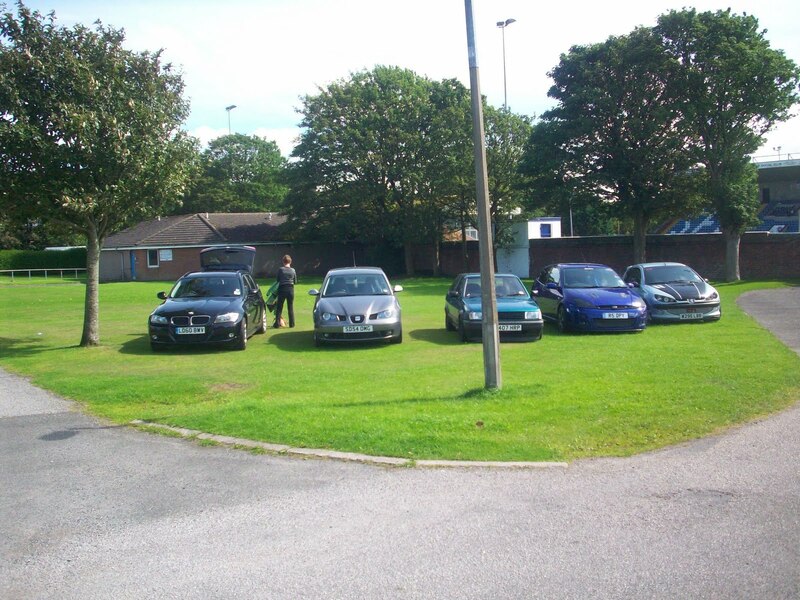 The stadium is literally at the far side of a public park which also affords visitors such treats as tennis courts, a skate park and a shed load of playground equipment to frolic on for children and adults alike. This multi-purpose park also doubled up as a car park for the matchday masses. 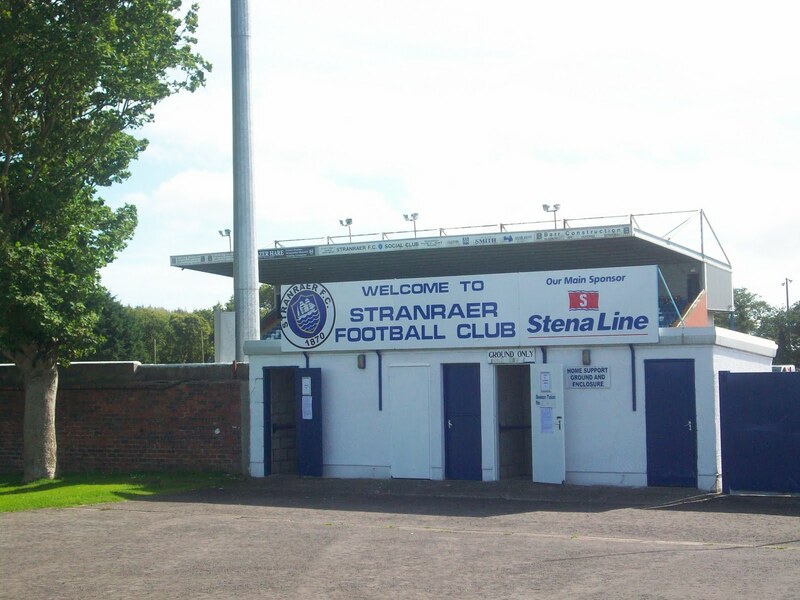 Impressed by my initial surroundings, Stranraer appeared to be really keen to welcome people with not one, but two “Welcome to Stranraer Football Club” signs. The club shop is situated in the side of the main stand, quite out of the way and absolutely packed full of stuff. It is a bit like my gran’s kitchen larder where you struggle to move – except this time due to memorabilia and not tins of peas/carrots/prunes/pears/oranges…. Unimpressed by the shop, I paid my £10 entry to the Main Stand and made my way up three flights of extremely cold, uninspiring stairs. At the top was very little evidence of where to go next…so taking a stab at the door on my left, I was delighted to see a stadium in front of me and not an angry lion or Michael Barrymore. 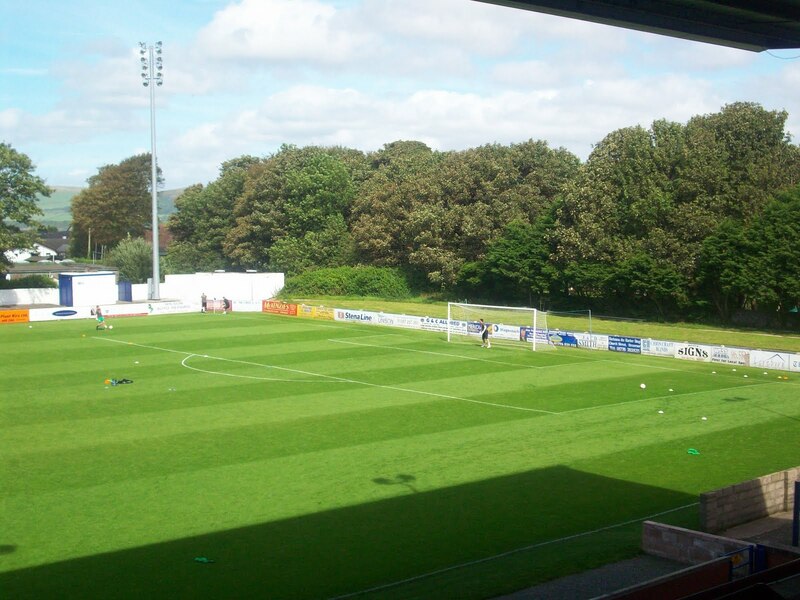 Like Recreation Park, Stair Park is one of these grounds where you can choose to walk all the way round. 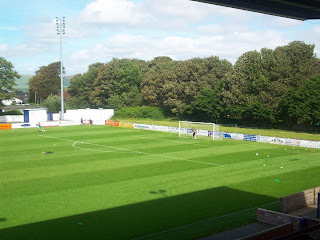 However, unlike Recreation Park I felt the stadium lacked a bit of homeliness. 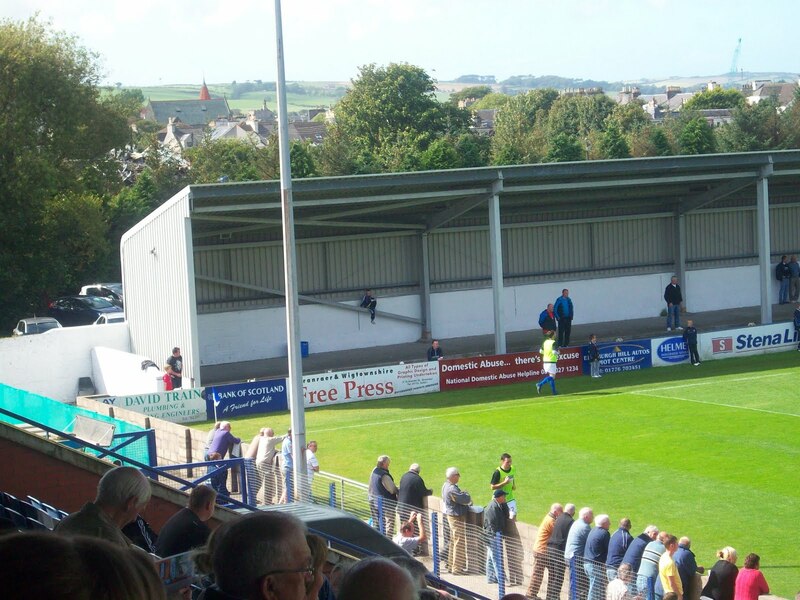 Don’t get me wrong, the main stand was comfortable enough…but the weird mix of old and new…half completed and non-existent didn’t really do it for me. 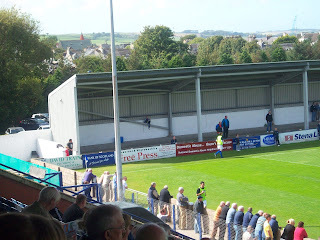 Undeterred, I continued my search from my seat up the back, which turned out to be a perfect vantage point from which to spot an old man appearing from round the side of the stand with a handful of greasy goodies – pardon the choice of expression. I do have a picture of the snack bar, but some little scoundrel jumped out in front of me as it was being taken (not the wife, before anyone asks…although she is small and was there) and, as I’m unwilling to post up pictures of other people’s children on the internet, you’ll just have to take my word for the fact that the snack bar was like those you might find at a fair, or festival – small…metallic and lacking in options. You may not be too surprised at my choice of a pie and cup of tea, which came in at £2.20 (reasonable) but had pretty much zero taste. Just didn’t really do it for me. A theme developing…. Pleased to have dealt with the hunger demons, I took my seat again in the top row of the stand where the atmosphere wasn’t great. 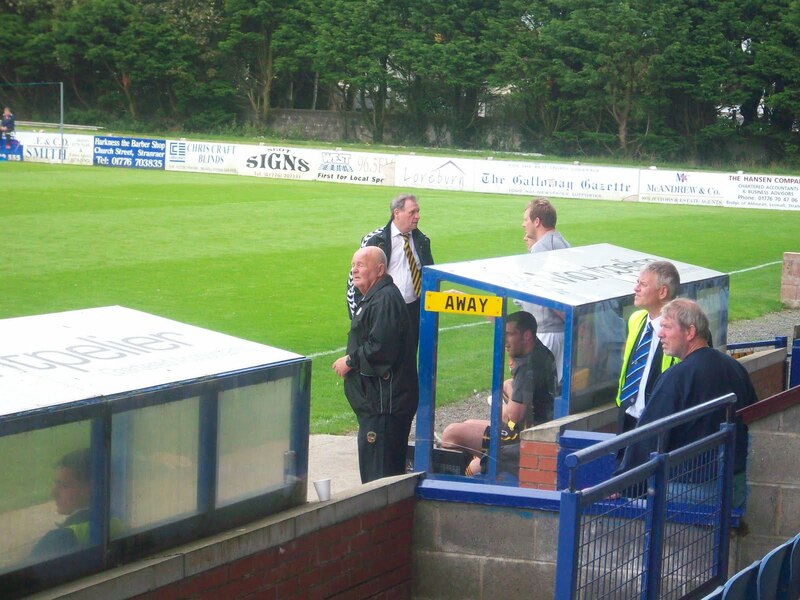 Don’t get me wrong, the old fellas in front of me seemed like perfectly pleasant guys but didn't seem to be talking about or be interested in Stranraer…focusing mostly on Celtic’s midweek draw with Sion in the Europa League and discussing their upcoming charity walks. When they did engage with the game, it wasn’t particularly positive. 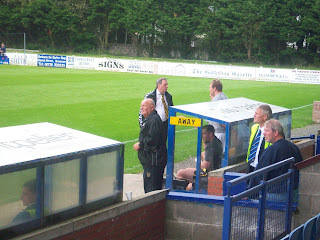 I moved at half time and sat just in behind the home dug-out. 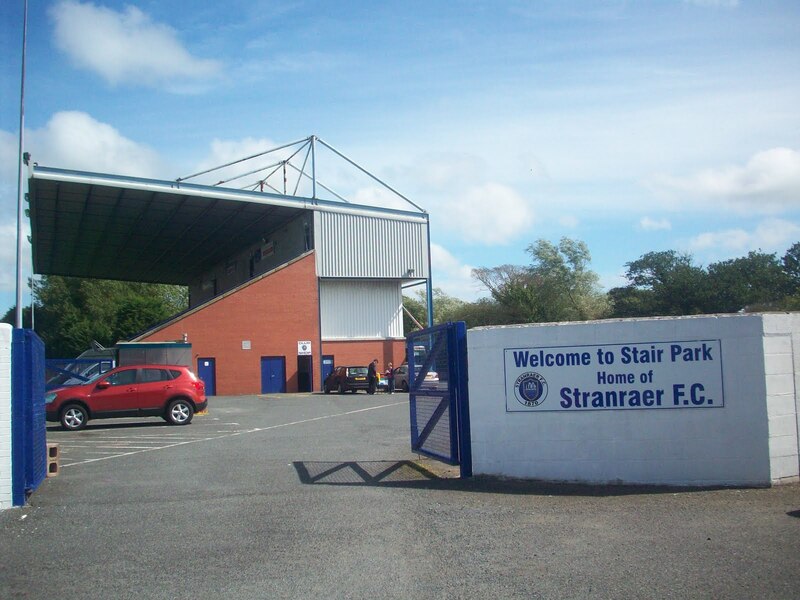 The atmosphere undoubtedly improved, with the cries of the fans from behind and the managerial team from the dug out in front creating somewhat of a stir. Overall though, I wouldn’t say it was a great atmosphere – the fans weren’t especially noisy, welcoming or engaged with the game or their team. 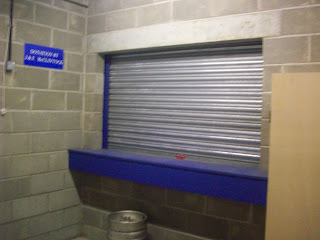 I did get a good view of a Tinpot speciality though – the license plate dugout signage! 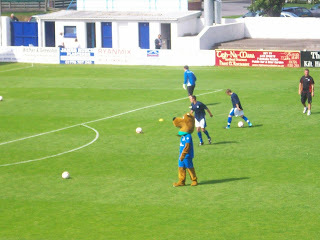 Oh…and Stanraer do have a massively famous supporter. 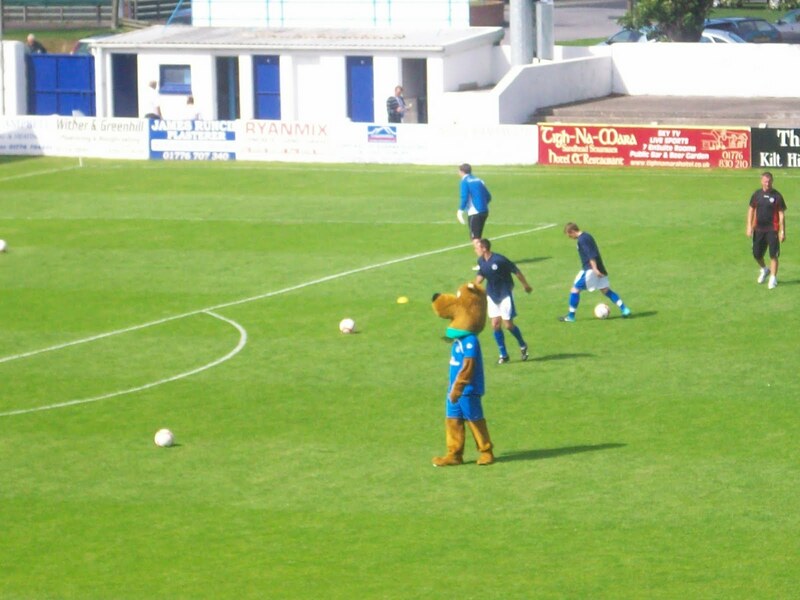 None other than Scooby Doo who kindly takes some time out of his busy crime-fighting schedule to act as club mascot every second Saturday. What a guy. Wonder if he could get me Daphne’s number? I’m sorry Blues’ fans, but the entertainment on the pitch really didn’t do it for me either. Firstly, there was a distinct lack of it in the opening 45 minutes with both sides, but particularly the home team, extremely guilty of playing long-ball stuff and although things did improve in the second half, it was a bit painful at times, as evidenced by the below clips - one from each half. Nonetheless, three players did stand out on the day. Up front, Craig Malcolm (who bagged a brace against the home side when I visited Queens Park in March 2011) was impressive once again, scoring a tremendous 25 yarder and eventual match winner and generally causing the Berwick defence all sorts of problems. His forward partner, Stuart McColm also looks not only a good foil for Malcolm, but a decent player in his own right. He is big, strong, good in the air and seems to have pace to burn. Quite a handful for most defences. Finally, a mention for Grant Gallagher who played out of position at right midfield against Berwick…but played very well indeed. Positionally good, very decent on the ball, willing to get forward….I think he did excellently considering he normally plays at the back. Oh…and he’s a thoroughly nice guy as well, dropping me a post match tweet to say how he hoped I had enjoyed the game! Although it was only £10 to get in, I’m not sure I’d pay it regularly. 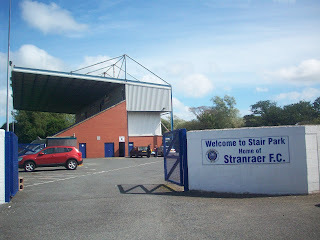 Factoring everything in, Stranraer was a passable, if uninspiring, place to visit. The ground and catering were fine, the atmosphere wasn’t unpleasant and there were three goals to see but well…to coin my own phrase as used throughout this post…..Stranraer just didn’t do it for me!